This Magnetic Box is delivered without contents. 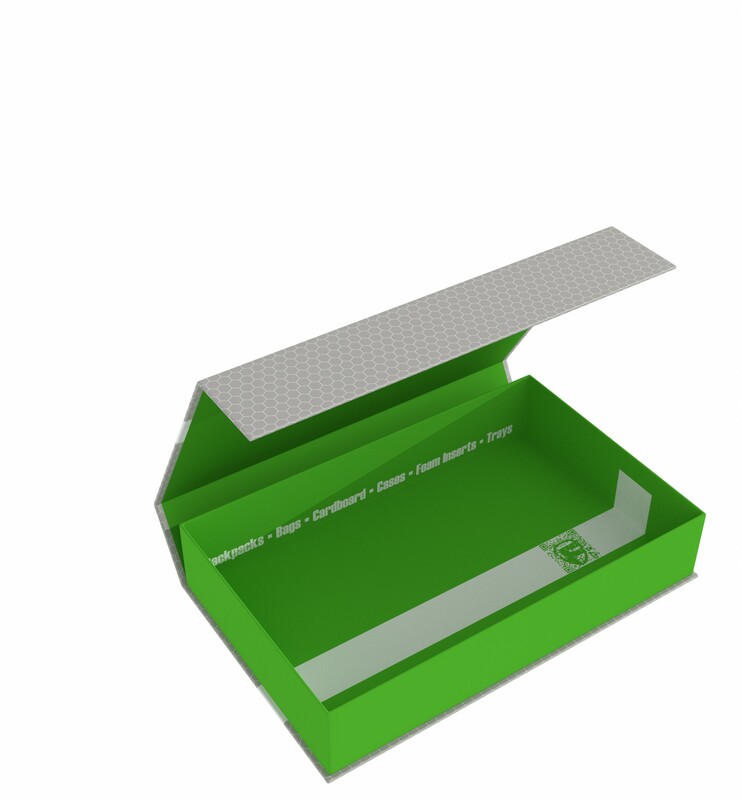 It provides safe space for Half-Size foam trays up to 55 mm height. This makes it particularly suitable for individual warbands or smaller miniature collections from Skirmish games, but also for card games or game accessories. 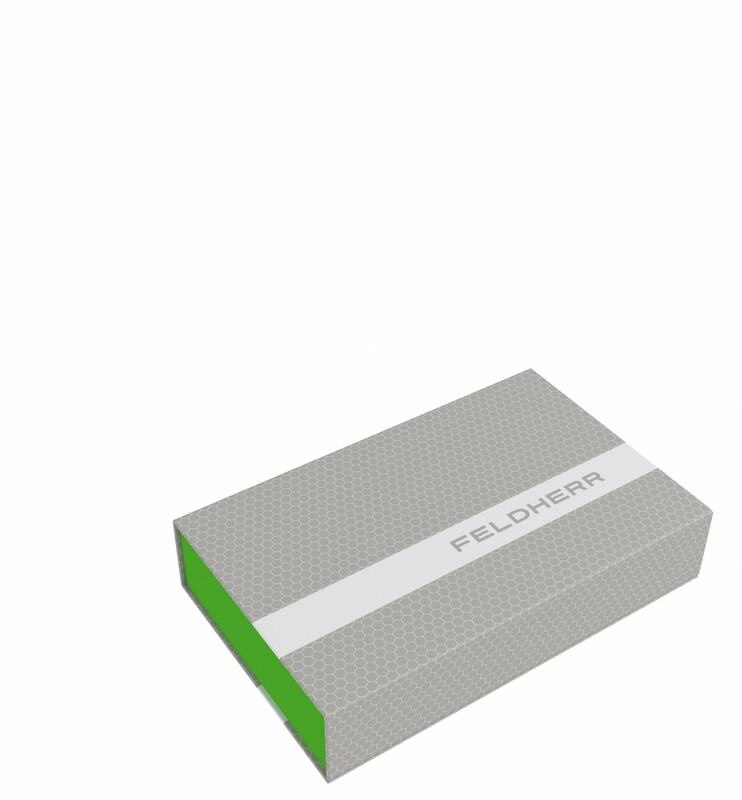 The modern cardboard box - with light green inner part and classic grey-white Feldherr design on the outside - not only cuts a good figure on the shelf with its flat shape. It consists of coated solid cardboard and is therefore light and handy, but also very stable. With the matching foam tray, miniatures and game material can be stored safely and dust-proof, and be transported just as easily and safely. On the bottom side, the green box in which the foam mat is placed is firmly attached to the encasement. The solid cardboard encasement serves as both, base and cover. Two integrated magnets on flap and front allow a seamless and easy closing, so that nothing gets lost during transport.